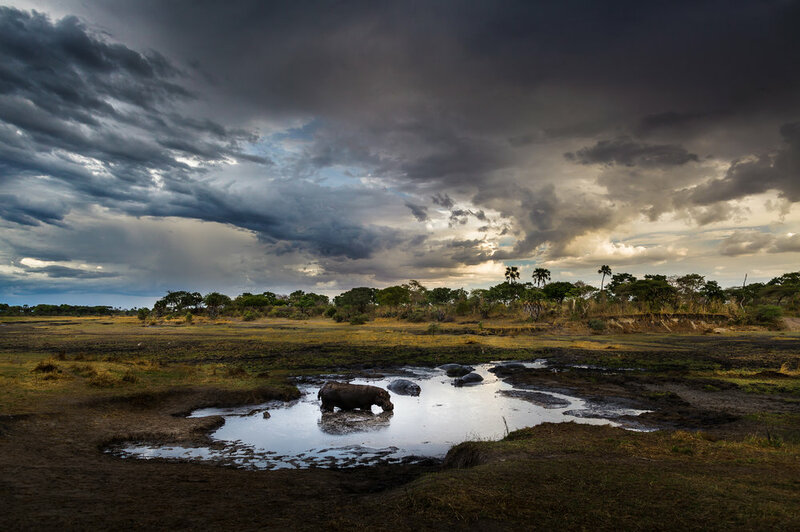 Join Andy Williams on this very exclusive, small-group safari at some of Tanzania's best wildlife photography destinations: Katavi National Park, Mahale Mountains National Park, and Selous Game Reserve. We'll have fantastic, exclusive opportunities for African wildlife of all kinds at Katavi and Selous: predators and their prey, elephants, giraffe, buffalo, hippo, antelopes, and birds—too many species to count! In addition to traditional game drives, we have the opportunity for walking safaris, and also game photography by boat. 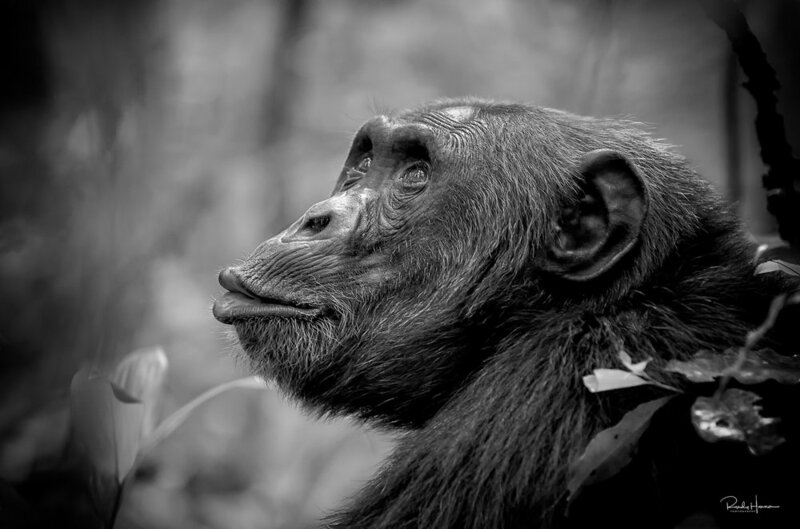 In between our time at Katavi and Selous, we'll spend three full days in the Mahale Mountains, trekking for Chimpanzees. We never know quite how far we will have to go to find them, but find them we will, and we will be among them for close and intimate photography encounters. On reaching the chimps, we spend an hour with them while they do their own thing: eating, foraging, playing, jousting for position in the troop, sqaubbling, and more. We're in Mahale for four nights, so that we can have three opportunites at these magnificent social creatures. This safari has it all, from vast, wide-open spaces and the numerous game that inhabits, to the lush forest jungle, and the intimate encounters with our closest relatives, the chimpanzee. You'll be expertly led by Andy and his team of hand-picked local guides. 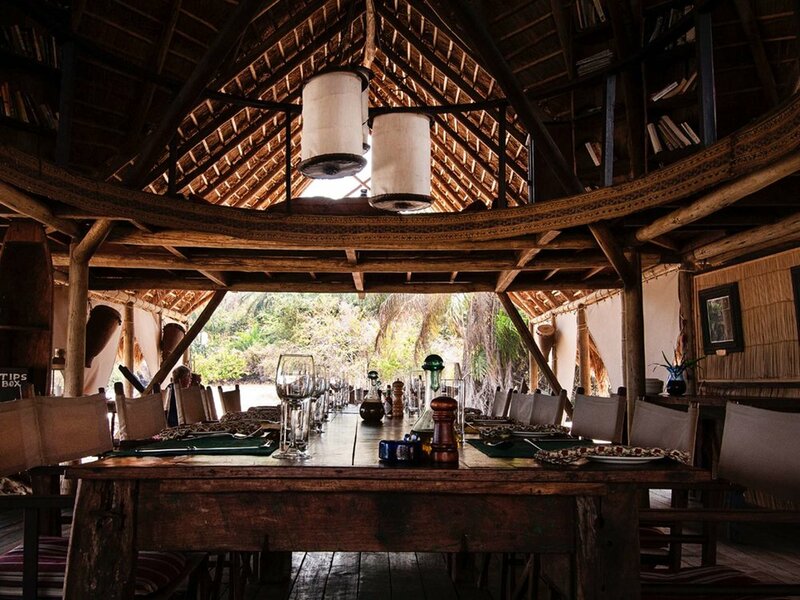 Everything's all-inclusive, the best safari camps, private air charters, and amazing food. If you're looking for an authentic African bush-style safari experience, look no further: this is it! November 10, 2019: Arrive into Kilimanjaro Airport (JRO) anytime this day. Upon arrival, you will be met by our representative, and assisted with immigration formalities and baggage collection. You will then be transferred by road to Rivertrees, where you will stay for the night. We’ll all meet for a kickoff dinner, get to know each other, and we’ll get to understand your photographic goals for this safari. November 11–14, 2019: On the 11th, after an early breakfast, we will take the short drive to Arusha Airport, for the our charter flight to Katavi Airstrip. We will be met on arrival in Katavi by our local guides, and transferred to Chada Camp, where you will stay for the next three nights. 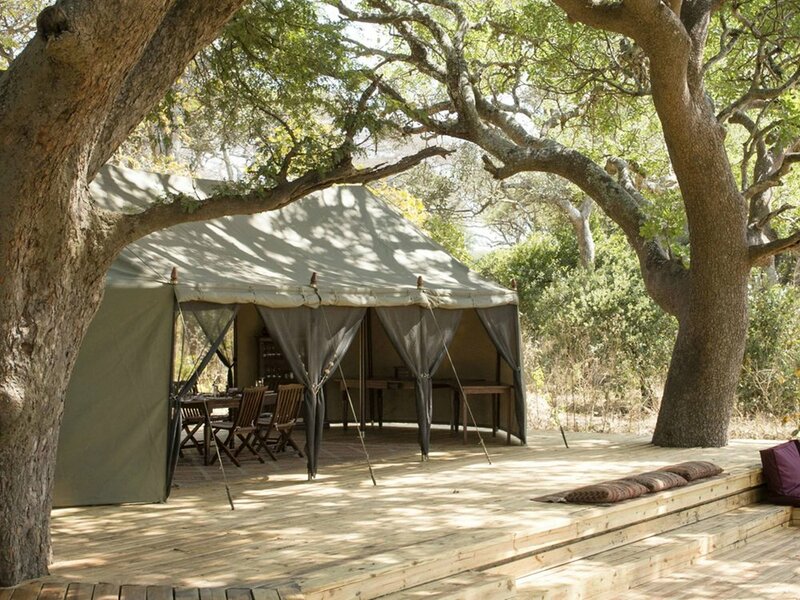 With only six tents, Chada is a simple, classic bush camp. However, do not let the simplicity put you off—this camp is very high end, with extremely high standards of accommodation, masked by the seemingly simple set-up. This approach suits such a wild destination. Guiding standards are set very high, and you can also be guaranteed of a laidback, but very high-quality hospitality experience. The phrase ‘Africa’s best kept secret’ is used to describe so many remote parks in Africa. However, we believe the accolade should be given to just one place—Tanzania’s Katavi. Very few people visit this part of the country, either being put off by the high prices needed to get out this far, or simply choosing to head for Tanzania’s more famous attractions. The result is one of the least-visited and least-developed National Parks in Africa. Vast buffalo and elephant herds, as well as huge lion prides are found across the plains. Hippo pods mass in the hundreds, while crocodiles hibernate in dens—both occurrences are unique to Katavi. 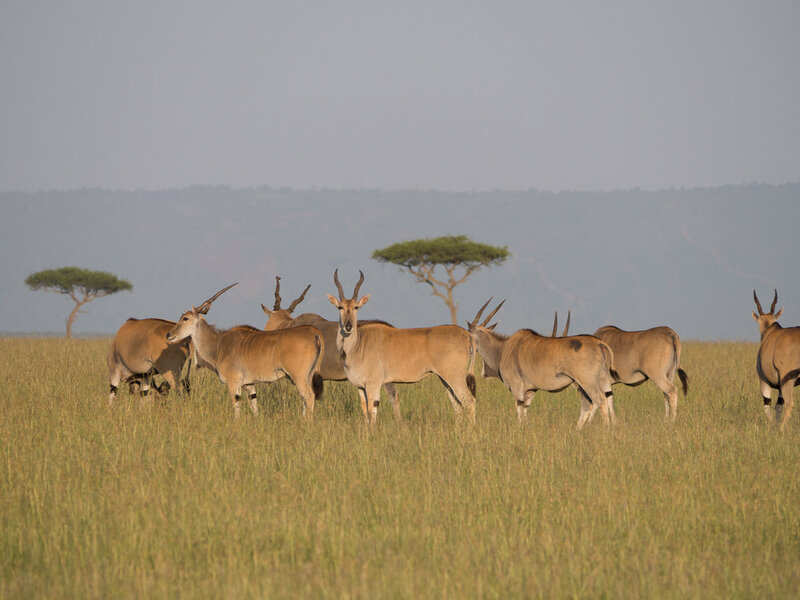 At the peak of the dry season this park is nothing short of phenomenal, with exceptionally high concentrations of game around the park’s remaining sources of water. It is this awesome density of game, as well as the sheer sense of wilderness that makes this park so special. 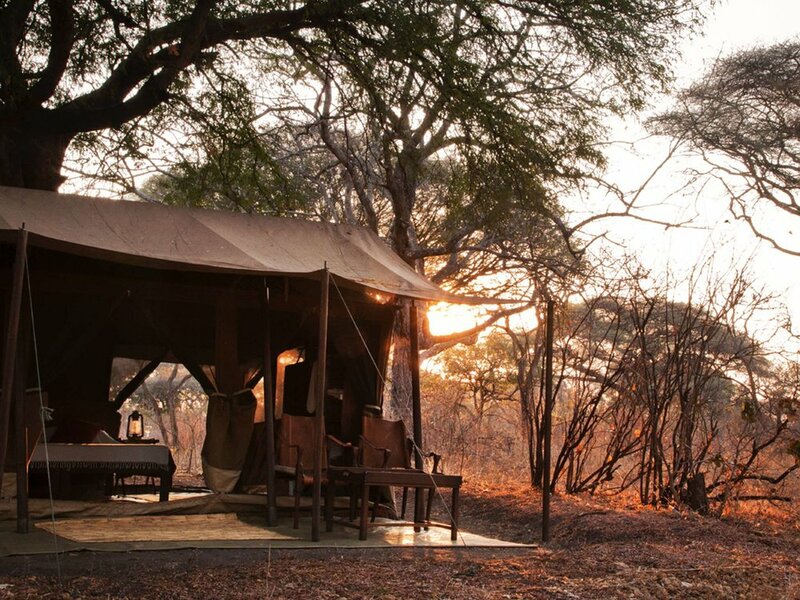 Katavi offers one of the last truly wild safari experiences left on the continent. Huge herds roam the plains here—the feeling of utter wilderness is tangible, and virtually prehistoric. November 14–18, 2019: After breakfast on the 14th, our guides from Chada Camp will transfer us back to the Chada Airstrip in time for our charter flight to Mahale. We will be met on arrival in Mahale by our guides from Greystoke Mahale and transferred to the camp by boat, where we will stay in Cottages for the next four nights. 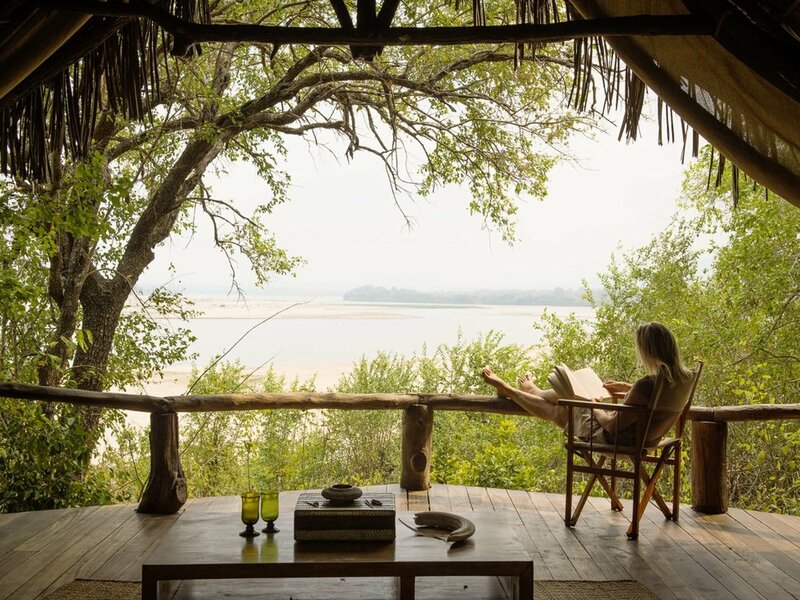 Lying on a sandy beach on the edge of a truly stunning lake, Greystoke rests at the bottom of the Mahale Mountains, home to the finest chimpanzee viewing on the planet. Greystoke itself is a very cool lodge. The six large bandas are double storey and some of the most unique rooms we know. 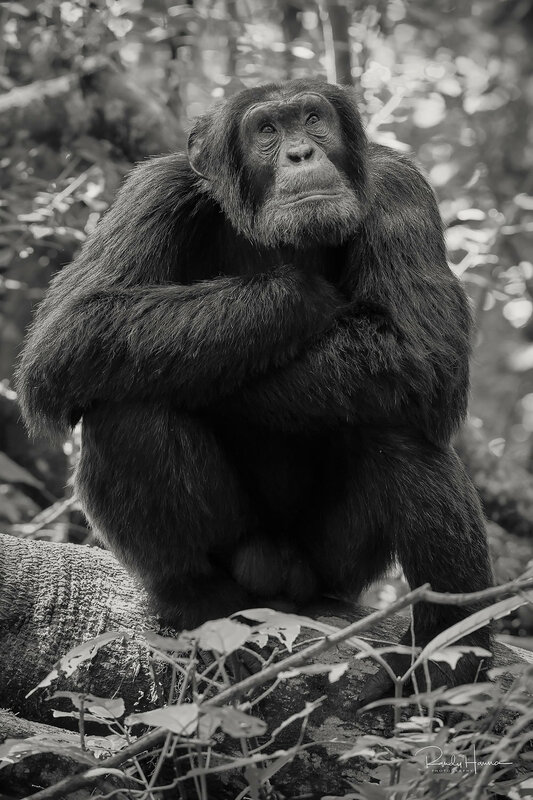 Mahale Mountains National Park is home to approximately 800 to 1,000 wild chimpanzees split across approximately 12 separate communities, including the famous ‘M’ group. Mahale’s attractions, however, go much further than chimpanzees. The park’s jungle-draped peaks drop down to a beautiful beach that lies on the edge of the crystal-clear Lake Tanganyika, the world’s second-deepest lake. Activities at Mahale include: trekking for the chimpanzees (we'll do this each day), as well as optional boating, canoeing, fishing, swimming, and simply relaxing. A chimpanzee experience like no other. Cerebral. Heart pounding. Serene. Intimate. November 18–22, 2019: After breakfast on the 18th, we’ll transfer back to the Mahale Airstrip for our flight to the Kiba Airstrip in the Selous. We are met on arrival in Selous by our guides from Sand Rivers and transferred to the camp, where you will stay in a cottage for the next three nights. Sand Rivers is the most famous camp in the Selous. 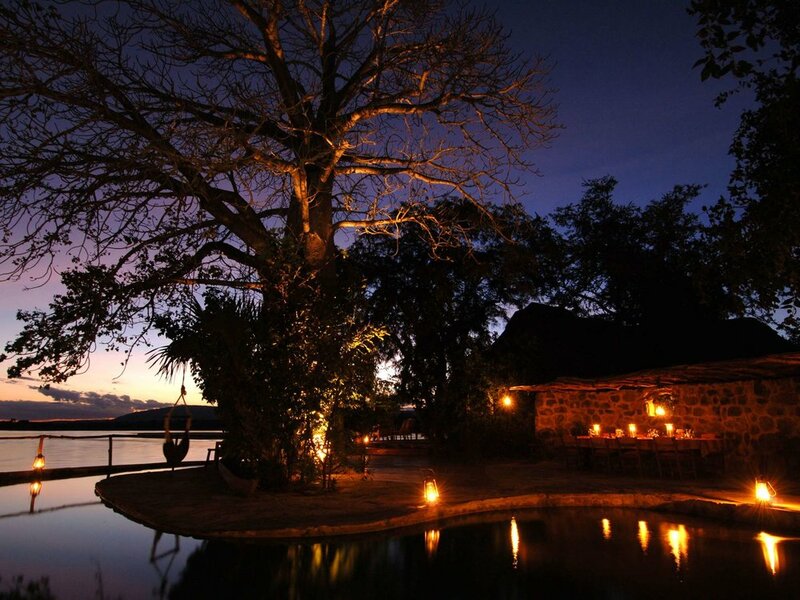 Set up by the famous guide Richard Bonham, Sand Rivers has an unbelievable location directly on the Rufiji riverbank. The main area and rooms all have uninterrupted views of the river and its resident hippo. Each room has an open front, large comfy beds and ensuite facilities. 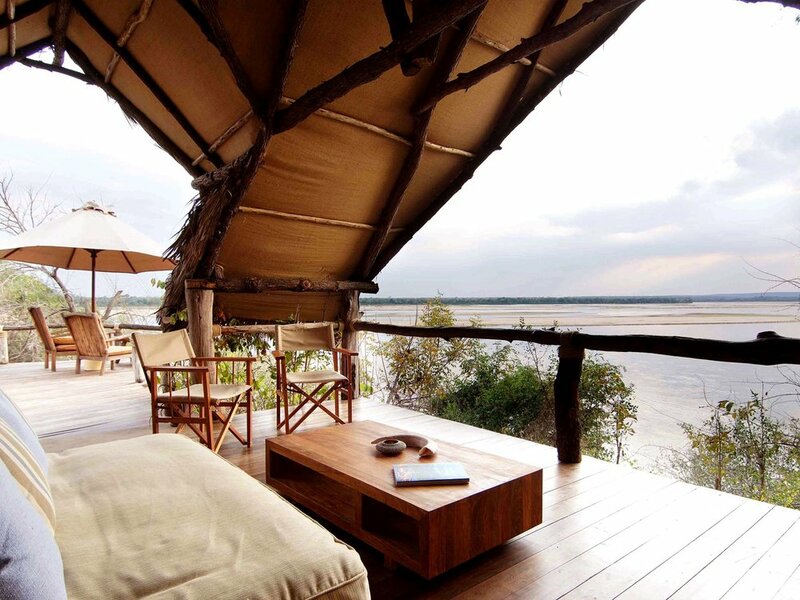 Well respected as one of Tanzania’s areas of true wilderness, the Selous is absolutely vast. The northern section is the location of the park’s best camps, the majority being based on Rufiji River or one of the River’s lakes. These waterways are the lifeblood of the park and the focus of the region’s game movements. 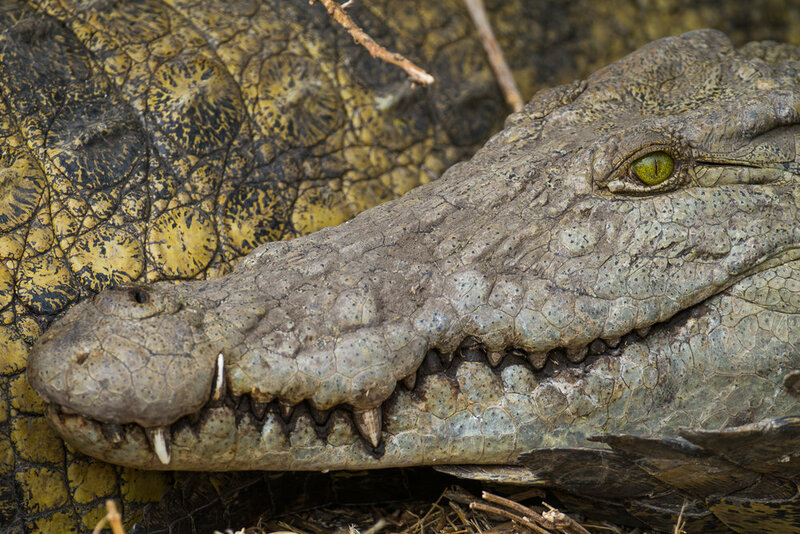 Selous is one of the finest destinations for boating safaris in Africa, as well as being one of the first parks in Africa to operate extensive walking safaris. Boating safari, walking, and fly camping are all possible here, as well as standard game drives. Game statistics are very high, with the park supposedly containing more elephant, buffalo, lion, and hippo than anywhere in Africa! November 22, 2019: After our final game drive and breakfast, we’ll transfer back to the Kiba Airstrip in time for our flight to Dar es Salaam. We have dayrooms booked at the Southern Sun, where you can relax and freshen up before the flight home. You will then be transferred back to Dar es Salaam Airport (DAR airport code) in time for your international flight home. In short, you’ll feel like you’re in a luxury hotel! We’ve hand picked our camps for comfort, knowledgeable and friendly staff, great food and convenience to our main objective, the wildlife. We also place a huge value on isolation and exclusivity. You won't find us in areas where there are dozens of other vehicles at a sighting—rather, you'll feel like you own the land, and the animals are there just for you! 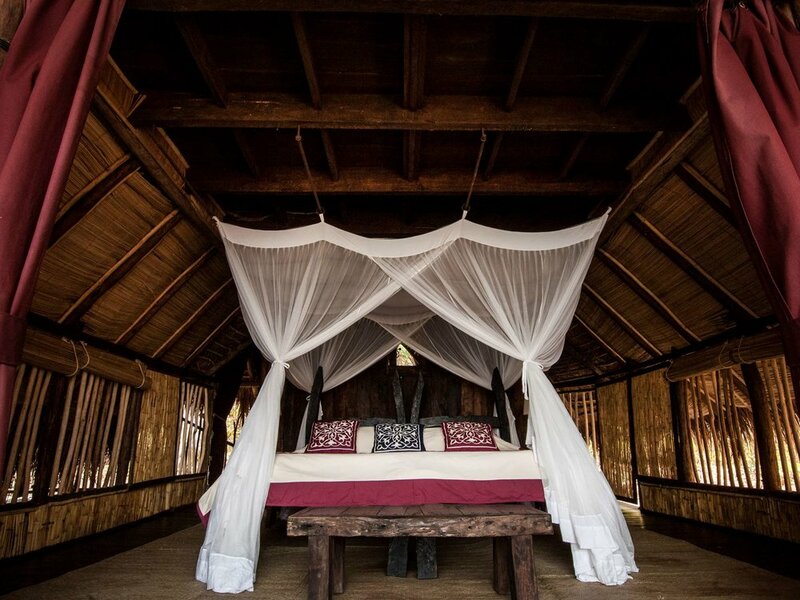 Typical tented accommodations feature twin beds or queen bed, high thread-count linens, storage for clothing, sitting area, verandah, and of course en suite bathrooms, with toilets, hot water and showers. They are enormous in size, bright, open, and airy. Our days start early, before sunrise. We’ll have a quick coffee or tea, maybe a cookie, and off on our first game drive of the day. The animals are just starting to stir as the day starts, and we want to be there, and in the best light. We’ll stay out for a few to several hours, depending on the sightings. After a mid-drive coffee break, we’ll continue on until mid to late morning. We typically have breakfast in the field, so as to maximize our game-viewing and photographing time. Back in camp, it’s time for offloading cards, one-on-one instruction, or just taking time to relax and do nothing. Read a book, take a walk, or take a nap and recharge. Of course there will be lunch, and then In the mid to late afternoon, we’ll again head out for another game drive, chasing the best sightings. Enjoying your favorite drink while watching and photographing the sunset is a popular activity. Arrive back at camp after sundown, enjoy a hot shower if you like, and then join us by the campfire or in the living area for cocktails followed by dinner. Food in our camps is superb—you’ll be served foods that you know as well as local specialties—and of course any dietary needs can be accommodated. 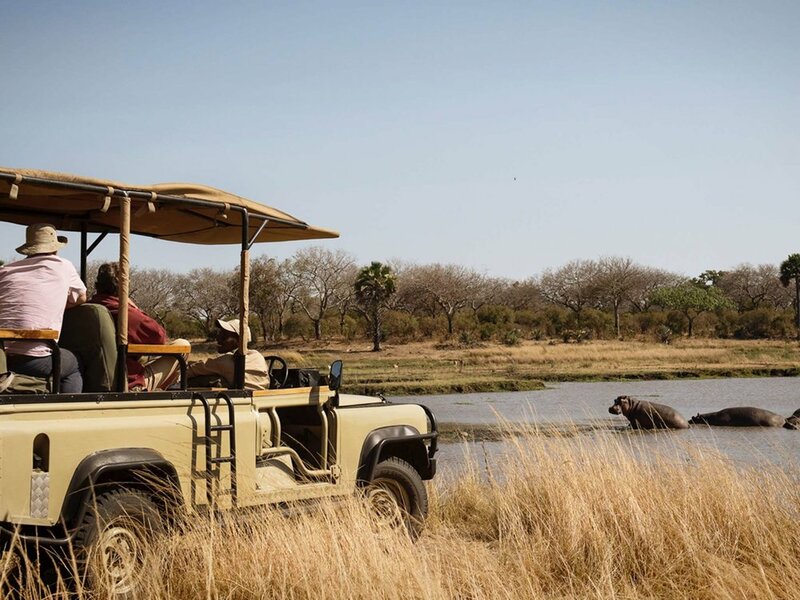 We’ve arranged for the best safari vehicles to be with us the entire time—custom Land Cruisers which feature ample room for you and your gear, and great visibility. And only one photographer per row of seats. All of our camps feature optional daily laundry service (but not on days we travel in between camps). Why a Muench Workshops Safari? We know you have choices, and yes, you can spend less on another Safari. Our aim is to give you the best possible experience, maximizing your time and minimizing the hassle, while providing the best photographic experience and instruction available anywhere. 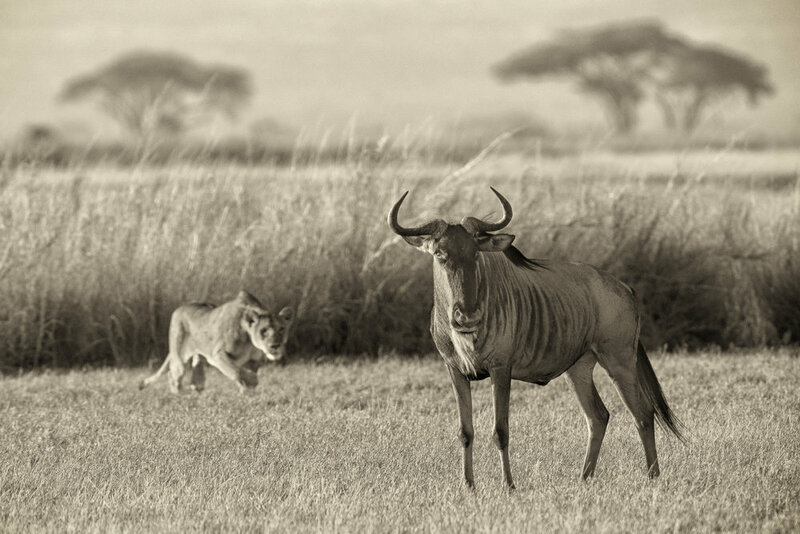 Photography and Safari Guiding: We’ve personally chosen only the best local safari guides for this photographic safari. 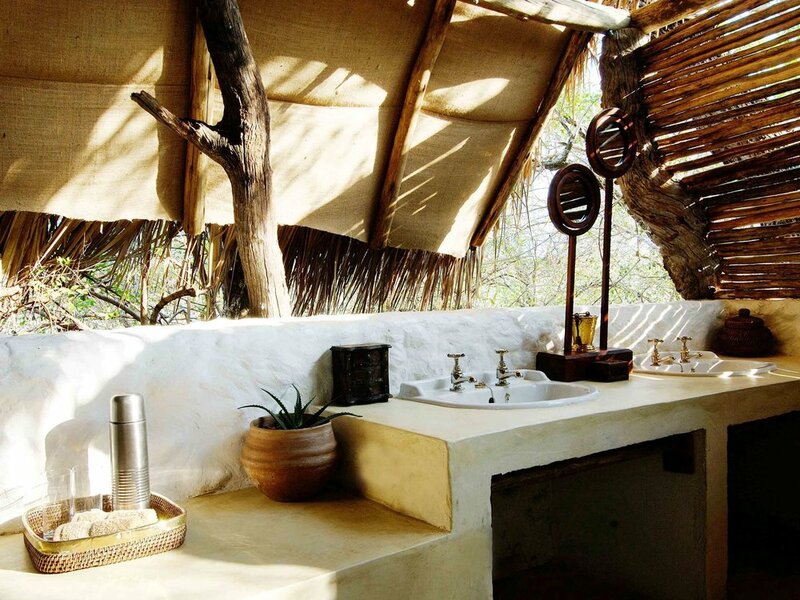 Details Matter: Our itinerary is carefully set to bring you the best game viewing and all that the region offers. We arrange things so that we're in areas that are not overly crowded with many other safari vehicles, and we get off-road when possible so we can get close to the action and our subjects. Photography Instruction: This is a workshop, not just a tour. We will work hard on this safari, with instruction in the field and in camp. Many evenings feature critiques and post-processing instruction after dinner, and during the daytime we offer one-on-one instruction as needed. You’ll come away with a wealth of new knowledge not only on how to create great imagery but how best to process those images in Lightroom and Photoshop. Years of Experience—Happy Repeat Customers: We’ve been leading, guiding and teaching photographers for a long time—and we have thrilled customers who come back on our workshops again and again to prove it. If you’d like to speak to someone who has been with us on a workshop or safari, just let us know, we’d be happy to arrange a phone call. Air transportation to Arusha Tanzania (JRO airport code) and from Dar es Salaam Tanzania (DAR airport code). Passport and visa fees, if any. Premium alcoholic beverages (house spirts, beer, and wine included). Medical evacuation and travel medical insurance (Optional, but recommended). Trip cancellation insurance (Optional). Items of a personal nature. Anything not specifically mentioned as included. Your deposit of $4,995 will hold your place in this safari workshop. Further payment of $6,000 is due by February 1, 2019. The balance will be due not later than August 1, 2019. All payments are non-refundable which is why you should have Trip Cancellation Insurance. All of our other normal Terms and Conditions apply. If you're looking for a small-group, intensive photographic safari, with the best camps, guides and best pros in the business, look no further and click the "Sign Me Up!" button now because this workshop will fill up fast. See you in Tanzania!